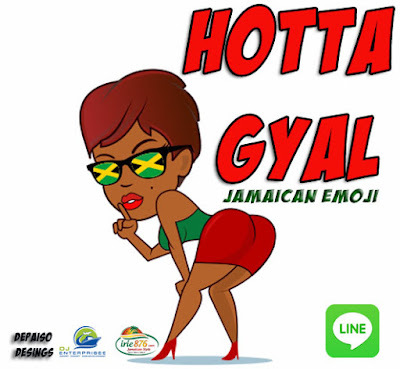 Let me first say that the reason I made a reggae sticker set with only female characters was because I knew a lot of people weren't thinking to do it but eventually someone would, and I love women. 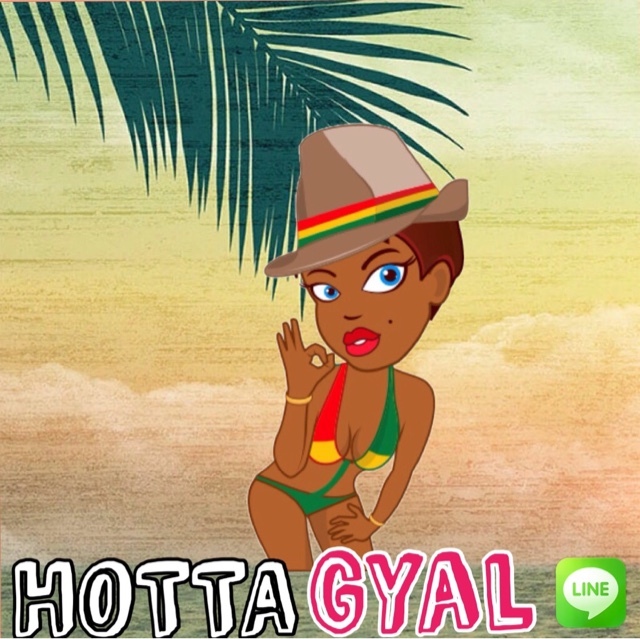 I created this set to represent the hot girls who like Reggae, HIPHOP and Dancehall culture. Independent, hardworking , outgoing girls. So I tried with the short hair and something about it just gave a demeanor of coolness, strength, confidence and risk taking. 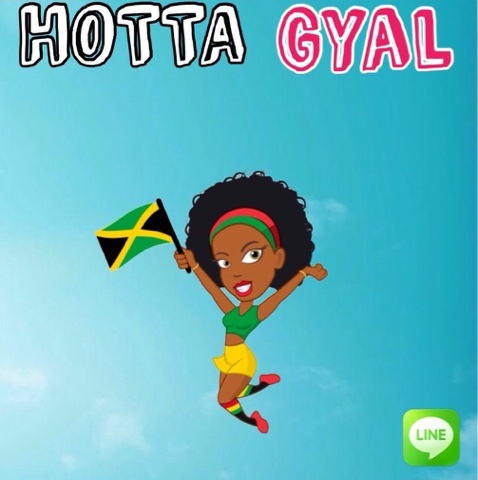 All traits that a real HOT GYAL MUST HAVE. After deciding on the short hair , the next step was to really think of the expressions and phrases. At one point I was thinking to use a lot of English to make the set easier to use. 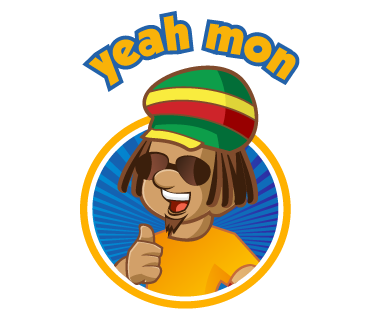 But Instead I decided to balance it out by using patois phrases as well as English as both languages are spoken in Jamaica. 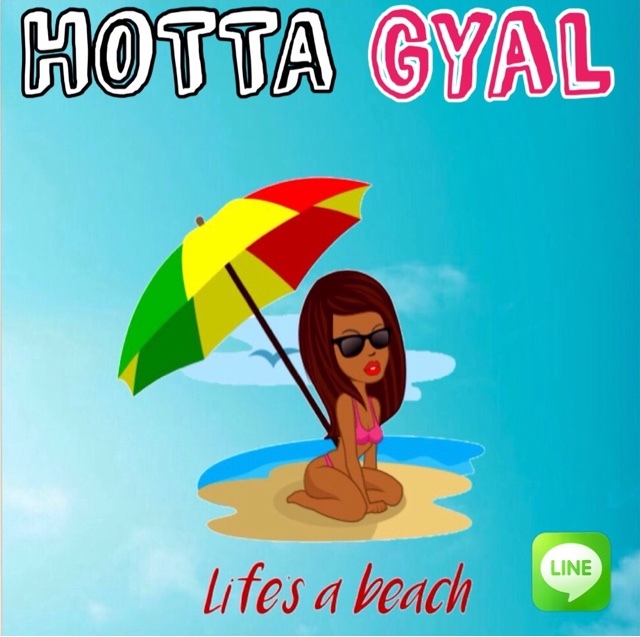 Hotta Gyal went through a rigorous feedback process , scrutinized by Hot Gyals from Jamaica, Japan, Britain, Germany, America , Philippines, Costa Rica , Brazil and Russia. Some of them didn't really like the short hair at first but eventually it grew on the majority. I listened to what many different women had to say and it dawned on me that I needed to make the sticker set more appealing to a wider audience. So I used some of the older illustrations ( long hair and the Afro style. From that, I created two new charters; Aiyana ( Afro style ) and Tatiana ( long hair). I think the characters will appeal to a wide variety of women , especial woman of color who aren't really represented much in sticker/emoji sets. My plan is to create a Jamaican Barbie like figure that can represent the many faces of Jamaica. 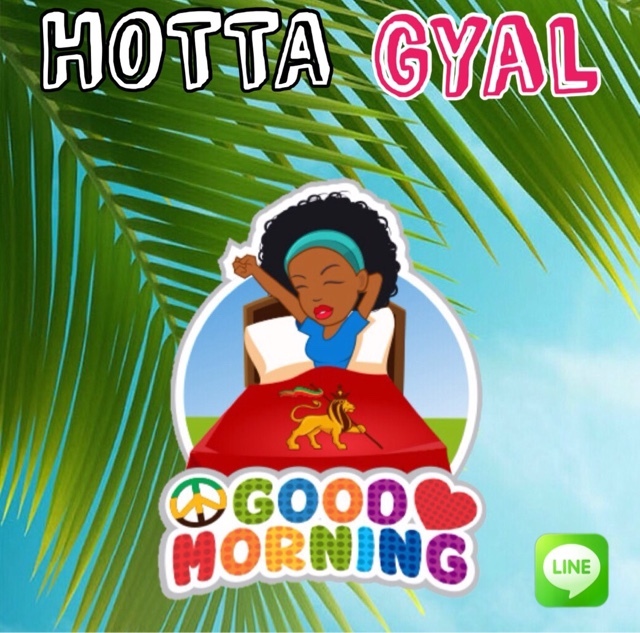 I will be creating more HOTTA GYAL characters to represent the diversity of Jamaica and I hope I will realize my dream of making Hotta Gyal into a brand that people all over the world will love and appreciate. 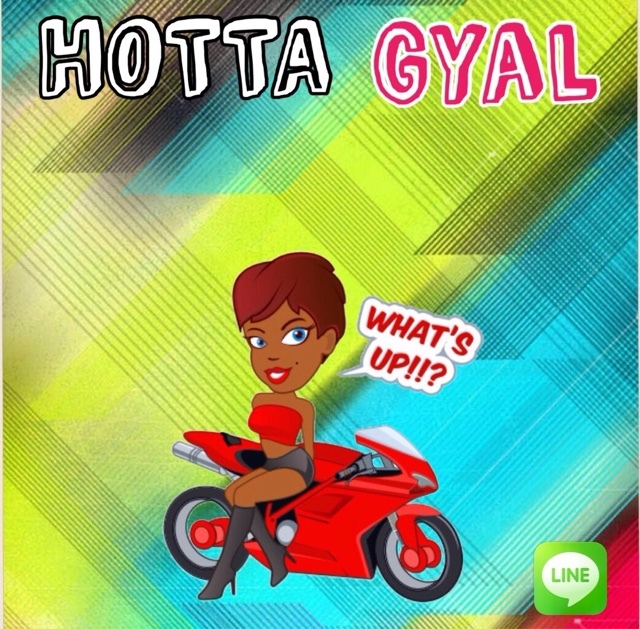 Download Hotta Gyal and have fun with Keila and her friends.